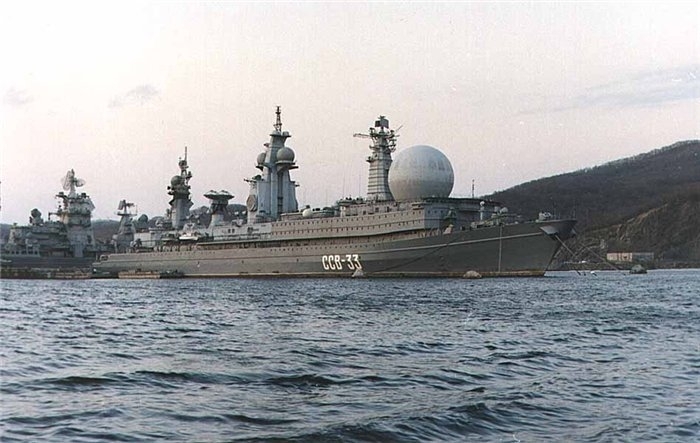 The “Ural” was a command ship operated by the Soviet Navy. She was intended to be a communications vessel. The electronics and combat missions of this ship used to be closely guarded secrets. She could gather information about any sub-cosmic object in any part of the globe. 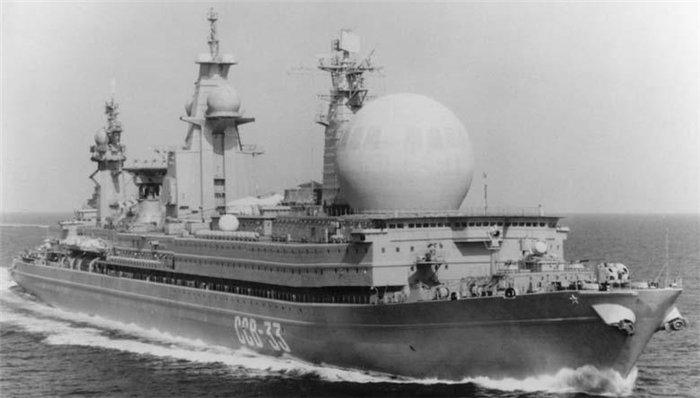 The vessel was commissioned in 1983. She was supplied with electronic equipment to detect targets in the air and underwater. Her radars allowed her to track missiles. A large group of specialists were assigned to eliminate any possible problems that could arise while at sea. Here are some characteristics of the ship: length – 265 m, draught – 7.8 m, displacement, full load – 34,640 tons, speed – 22 knots, unlimited range. She only carried light weapons. 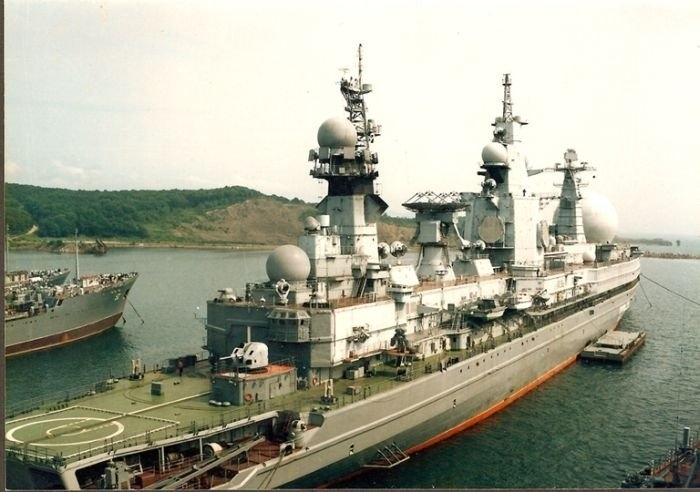 They assigned her to the Pacific Fleet but no pier was able to accept the giant and she had to stay in the bay. In summer 1990 there was a fire in the ship and a large part of the vessel was damaged. The vessel later turned into a floating barracks for officers and her equipment began to decay slowly. According to the information available, the vessel still carried military weapons and successfully managed to control the northern part of the Pacific ocean. In 2001 the ship was decommissioned. 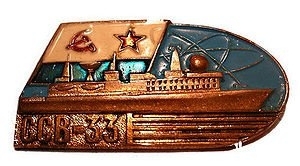 There was an idea to use her as a floating atomic power plant but that never eventuated (The picture is of the ship’s Award Pin). In 2008 it was decided to scrap the ship. The Naval architect of the “Ural” was awarded a medal and the title of Hero of Socialist Labor for the project. 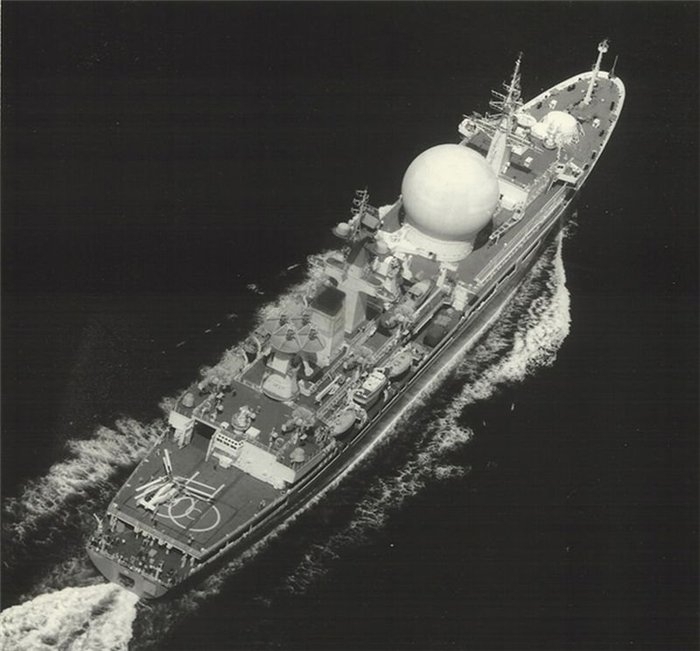 The vessel was the only three-masted military ship in the world, excluding training ships. Wonderful ships from the unforgotten old dear great VMF. That was the only one if her class, Proekt 1941 Titan, Kapusta for the N.. Sad destiny for a lot of good ships of those years. Slava to the VMF CCCP! Nice piece of militairy hardware, but nowdays this is handled by satellites and drones. But even today a dedicated command and control ship could not be overlooked. Have you considered asking someone who speahks English to proof-read your articles? We do have a native English speahker (sic) who has recently started to proofread articles. There is a fine line between rewriting an article and maintaining a Russian feel within it.